Some of the loneliest times of the year for those living on the streets or the indigent poor can be the holiday seasons. We believe they don’t have to be, and so twice each year – on Thanksgiving and Christmas days, we open our doors to the homeless, poor, and lonely men, women and children in the Silver City community. These special events offer hundreds of home-cooked meals and entertainment for those who might otherwise have no food, companionship, or celebration during the holidays. We normally start our prep work the day before, peeling potatoes, prepping turkeys and cutting relish trays. We come in early the next morning to prepare the feast and get everything ready. In addition to traditional, complete meals, on Christmas all guests are provided with small gifts and toys for the kids. This is a great time for youth groups or other giving organizations to lend a hand. We also need individual chefs and helpers with warm hearts and caring hands. Call the Mission Manager at 388-5071 to be put on the helping list for either Thanksgiving, Christmas or both. 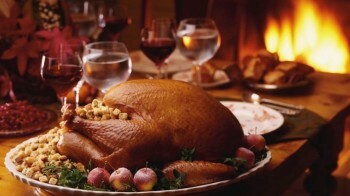 Share the post "Holiday Dinners"